Comfortable. Nice temperature for all but winter riding, although I run pretty hot so some people might find them cooler than I did. Sizing was spot on, giving a good fit and being easy to take on and off. The cuff is a nice length for me, but the velcro strap is thin and as a result it doesn't close at quite the right angle/ tightness. The first time I wore them in the rain my hands were covered in dye, but it washed off easily enough. 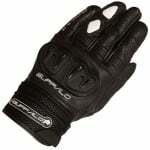 Comfortable and cool summer gloves. Bled a little colour on first use but settled down pretty quickly. Good materials, nice craftsmanship. Fits nicely and Comfortable. Good value for money! Gloves are nice, although sizing is a bit strange. I've ordered L and they were very big for me. M is to narrow when putting them on, but OK to wear. Return and exchange for a different size was smooth and problem free. Really nice glove for that price. Only have one complaint and that is that one seam already in a week is going up on one finger. So maybe they don't last that long? 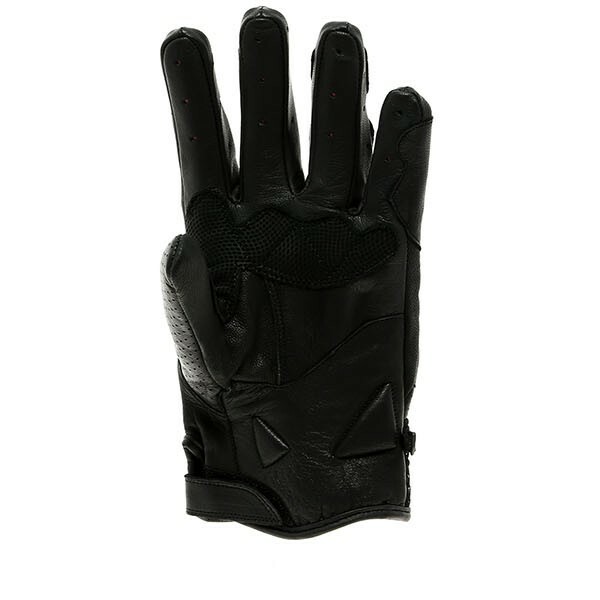 Bought these gloves as an alternative to my full size glove and very impressed for the price the quality of the fit and materials. Ideal for the coming summer months ahead. 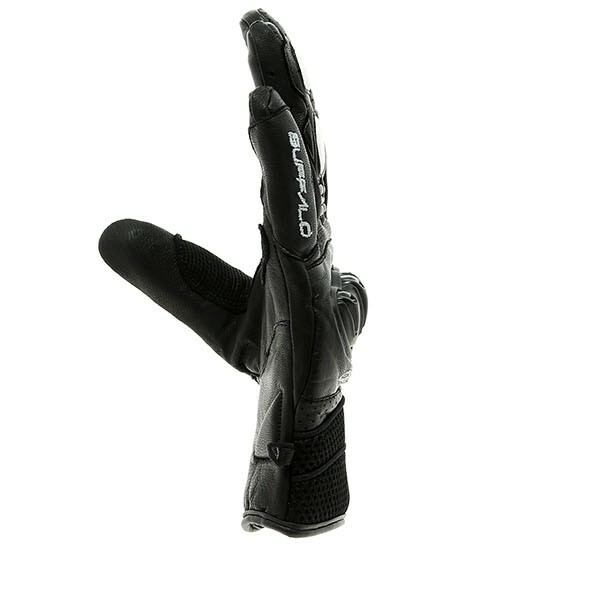 A good glove for anything but winter. My hands weren't getting sweaty and I had a good feel of the controls. Well made as is expected from Buffalo. I bought these short cuff gloves for every day commuting. I tried numerous gloves and knew these where the 1's the moment I put them on. Appear to be good quality but time will tell. 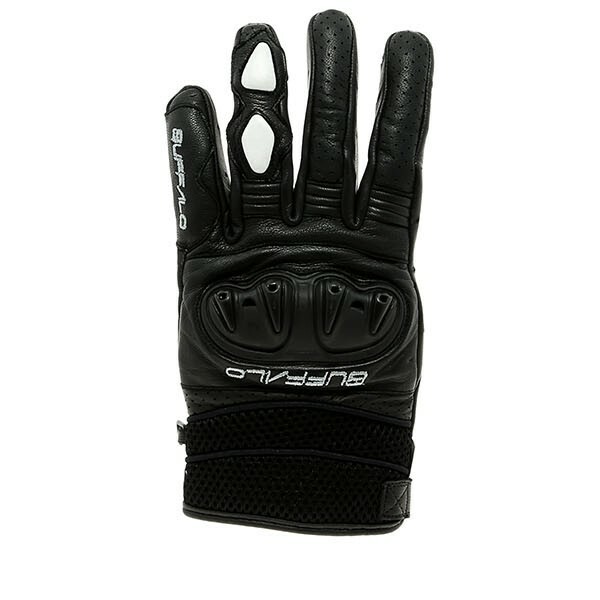 Great gloves, nice feel on the levers, good protection and nicely lined. XL fit me well, I would say size up if in doubt as they are snug on fit. For the price they are excellent and I have a Buffalo Jacket and trousers as well that have all been first class. 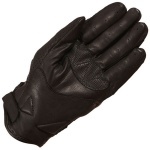 These gloves are suitable for spring to Autumn I think, with the perforated leather. I have Buffalo winter gloves for chilly days. If there is any criticism its that the wrist fastening could be tighter and I can just feel the knuckle armour a little despite the padding and lining. I ordered some more expensive Weise gloves at the same time which were not as well made and had loose stitching. As always SBS are simply superb on returns and refunds. Great fit. Superb summer glove and probably OK for the early spells of winter too. Bought the XL as have medium to large hands. Fit great. Quality seems decent too.